There is an employment contract providing that the employee cannot be fired without just cause for a specific period of time. An “at-will” employee can be terminated because he/she does not get along with a supervisor, or even because the supervisor does not like the clothes the employee is wearing. The employer does not have to use progressive discipline, allow the employee to present his/her side of the story, or demonstrate that the allegations against the employee are true. In other words, it is not illegal for an employer to be unfair or wrong when it fires an “at-will” employee. If you believe you were wrongfully discharged, you should contact Atlanta wrongful termination lawyer Greg Fidlon immediately. Mr. Fidlon can help you determine whether your termination was unlawful and whether you are in a position to bring a lawsuit or to negotiate for a severance package. For more information, please see Mr. Fidlon's article, entitled Employment Law 101: What is a 'Wrongful Termination?'. The basis of the lawsuit would not be wrongful termination per se, even though that is what happened. Instead, Atlanta wrongful termination lawyer Greg Fidlon would sue on your behalf for discrimination, retaliation, sexual harassment, hostile work environment, defamation, breach of contract, interference with your rights under the Family and Medical Leave Act (FMLA), or whatever the action was which caused the employer to wrongfully terminate you. Many wrongfully terminated Georgia employees may also have valuable claims against their employers under the Fair Labor Standards Act (FLSA). In addition to establishing the federal minimum wage, the FLSA establishes overtime and record-keeping requirements that employers must comply with. Many times, employers attempt to classify an employee as “exempt” in order to avoid paying overtime, as required under the FLSA. Employers also often make errors in calculating the overtime rate of pay or require employees to work “off-the-clock.” Fidlon Legal can assist you in determining whether your employer has violated the FLSA. Remedies for a violation include unpaid overtime wages for up to three years, plus liquidated damages in an equal amount, and attorneys’ fees. Upon termination, many Georgia employees are presented with a severance agreement. These agreements typically require the employee to sign a release of claims against the employer in exchange for a severance payment. If you have been presented with a severance or separation agreement, it strongly recommended that you contact an experienced Atlanta wrongful termination lawyer, such as Greg Fidlon, to review the severance agreement and proposed release, and advise you on your rights and options. Many times, it is not in a former employee’s best interests to sign anything, as doing so usually precludes you from pursuing any legal rights against the company in the future. 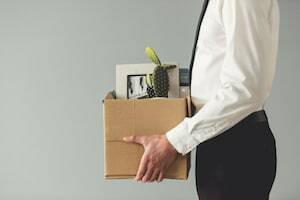 Regardless of how you and your employer parted ways, it is wise to contact an Atlanta wrongful termination lawyer to discuss your termination or resignation and to ensure you have not been taken advantage of. If you think you have been wrongfully terminated, call an Atlanta wrongful termination lawyer at Fidlon Legal today. Greg Fidlon is an experienced wrongful termination lawyer. In addition to a law degree, Mr. Fidlon is a Certified Public Accountant. He has represented both employers and employees and has drafted, negotiated or reviewed countless severance agreements. This unique set of experiences and skills allows Mr. Fidlon to assist employees with any wrongful termination issues.